Best Outdoor Light Bulb Camera Reviews: Top-5 in April 2019! You have all heard of security camera units, and seen various wireless and wired models. However, the camera light combo unit is unique in three respects; It’s a fully operational streaming video camera unit, it is connected to a light source that can shine over suspected areas at night when activated, and it saves on wiring or dual power sources as it contains two separate yet combined functions. There are many models available, and I present to you five of the best outdoor lightbulb camera models on the market today. 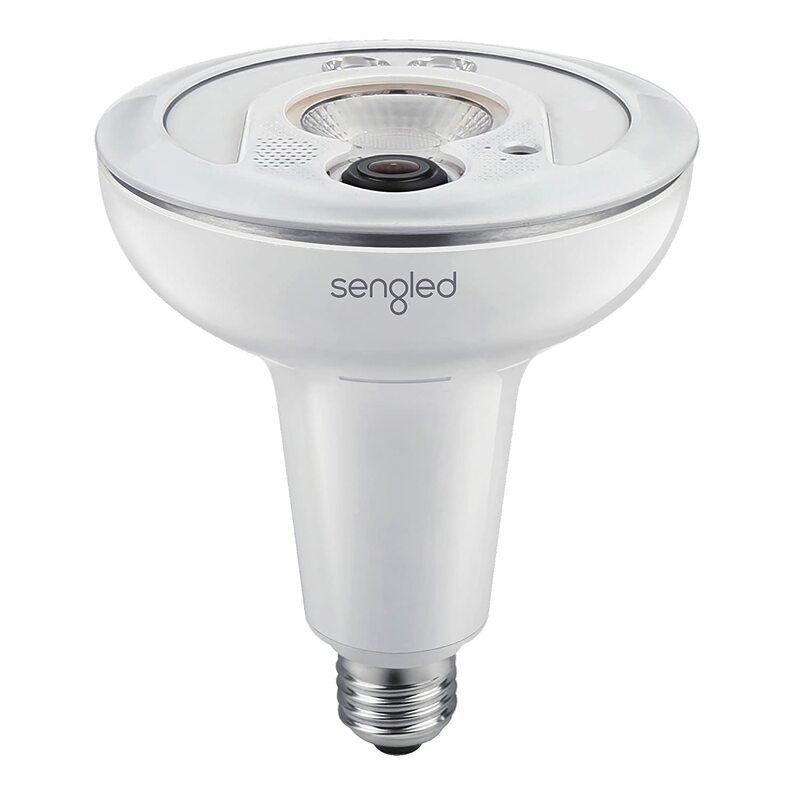 This is the Sengled Snap Security Floodlight with Built-in HD Camera and Two-Way Speaker/Microphone. It is an HD security camera built into a long-lasting LED floodlight unit. This model lets you conveniently hide the camera within a LED floodlight unit, which conveniently gives you power access to both the camera and floodlight in one unit. This model comes with cloud storage subscriptions, motion detection alert, night vision, and a two-way intercom that is packaged in one convenient wireless unit that transmits to your smartphone. This model is weatherproof for outdoor applications and delivers mobile alerts when the motion sensors are triggered. You won’t be false alerted since the system has a human detection algorithm built in. Once you are connected, you can dial up the camera from your smartphone and view live streaming, as well as take snapshots. All you need is to connect the E26 light socket and twist in the camera and floodlight bulb, and you are ready to transmit. This is a classic basic lightbulb socket with light and camera combination that can be installed anywhere. 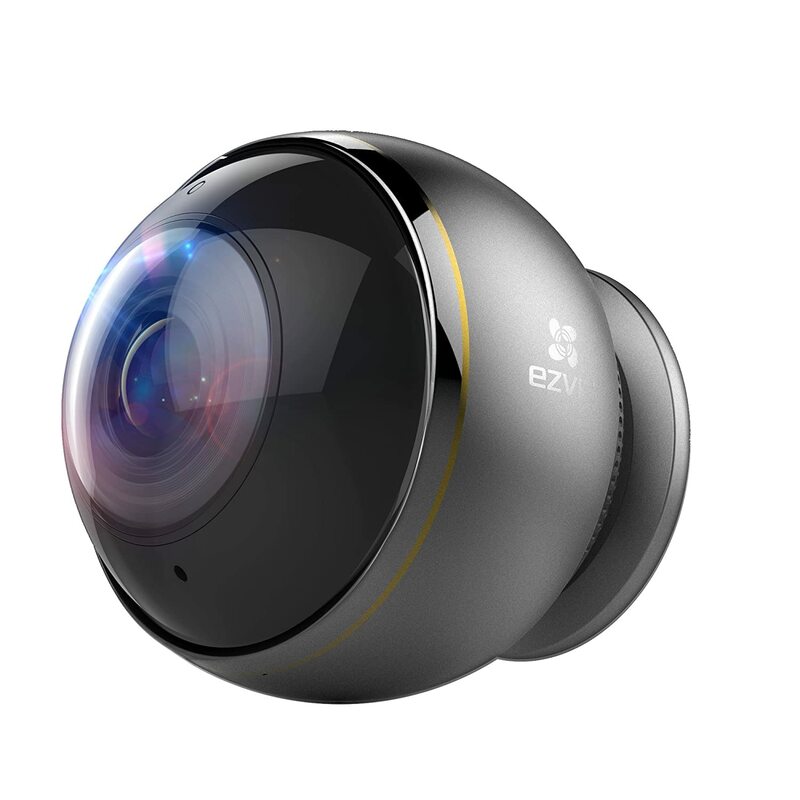 This is the ez360 Pano 3MP Wireless Fisheye Camera that delivers complete coverage without any blind spots. This model comes with a fisheye lens and a 3-megapixel HDR sensor. The sensor supports 360° omnidirectional monitoring and comes with four viewing modes; these are; panoramic, expanded, dual-split screen and quad-split screen. The camera comes in a lightweight, rugged corrosion resistant aluminum alloy body for rugged, long-lasting structural integrity. It features a Triple HD Video performance with a 360° Panoramic View and communicates using a standard 2.4GHz/5GHz Dual-Band Wi-Fi with Two-Way Audio. This model also Supports a MicroSD Card and provides True Day and Infrared Night Vision. The Four-Screen Split Mode lets you view up to 4 assigned areas if you set up four different camera units, and the viewing modes give you extra control over how you see and view the streaming video. This is a Triple HD Camera that comes with a 3 MP starlight level sensor; this means you get a 1344×1344 resolution that stays sharp in the dark from four 850nm high-end LED infrared lights that give you a 7.5-meter range. This model comes with a Built-in microphone for 5-meter pickup and supports a full duplex voice intercom with clear tones. This model uses the EZVIZ app or EZVIZ Studio for mobile versatility. This is a great cam light looking unit, and it has some exceptional features that provide you with more versatility than most models. The Momentum Aria is a powerful floodlight and WIFI camera combo unit that delivers exceptional power performance from both components. This is a 2500 Lumen LED floodlight with an HD 1080P streaming video camera that has 270o detection range with a 110-decibel built-in siren. The Aria is a twin floodlight unit that contains a separate camera component in its base. This camera comes with a 140° wide-angle lens and delivers HD 1080P resolution video, and has night vision IR capability. It is built for the outside, so it is weather resistant, and it comes with five functions; floodlights, camera, alarm, two-way audio communications, and mobile control. The floodlights deliver 5,000 lumens in total, and the alarm reaches 110 decibels when activated. The camera uses a motion detection sensor to activate the lights, but will only set off the alarm from your mobile. The mobile detection sensors provide 270° coverage, and you can set rules and scheduling from your smartphone. This model comes with a cloud capture service too as well as an SD card slot. This is an extremely versatile and powerful model and comes with a very attractive price, so you get true power and performance at an affordable cost. 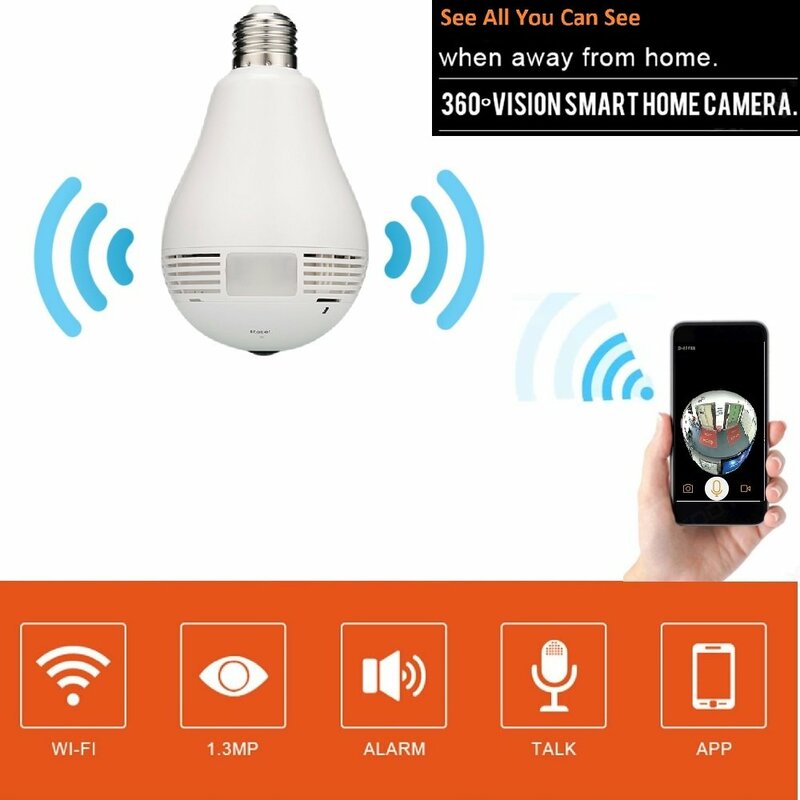 The SecuEyes Light Bulb Camera provides you with a 360 Degree FishEye Panoramic Camera For IOS/Android applications. The SecuEyes lightbulb camera is perfectly formed to seem and appear as a standard light bulb; it also screws into any light bulb location, so you are only limited by the location of your light sockets. This model is designed to transmit streaming video directly to your smartphone and works with both Android and iPhone devices. This is a three in one product and is conveniently priced too. It acts as a standard LED lightbulb with 3 x 1w LED’s, it has an HD 960P 1280 x1024 (1.3mp) resolution camera that streams video to your mobile devices, and it supports up to a 128GB SD card. It comes with 2-way audio for interacting with anyone in the area, and it pushes alert notifications when movement is detected via the motion sensors. WiFi connectivity for Android and iOS devices. If you just want to screw in some lightbulbs that have that little bit extra, then this is the device you want. Its simple, straightforward and you can screw in as many as you want since you are not limited by any system. 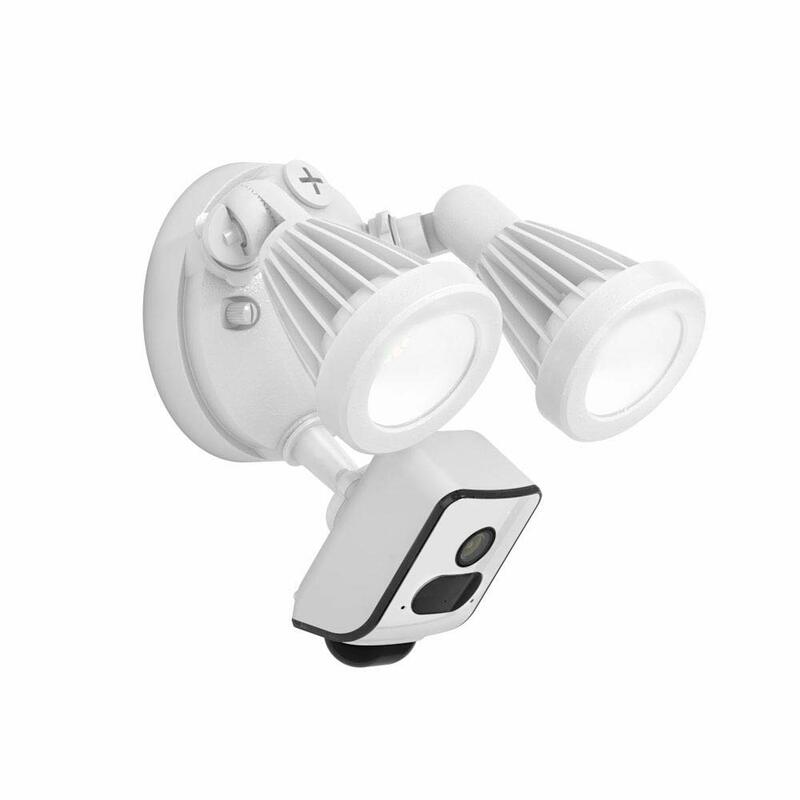 The FREECAM L800 Floodlight Security system is a standard floodlight with a separated camera unit at its base for detecting and watching outdoor movement. This is a very basic but excellent unit that does not hurt your pocket. It is a wired unit, so you get constant power to support its function. This model is waterproof IP65 rated, and has a 127° field of view with full night vision PIR capabilities, and delivers 180° of view for up to 15-30 feet at night. The camera is a 1080P, and the floodlight delivers 4500K warm light. You control it via your mobile device using WIFI and the “CAMB” app. This model comes with a human detection algorithm, so you don’t get any false alarms from small animals or bad weather. If you want a great floodlight with camera option that is not hidden as a camera in a light bulb, this is the unit to get. It combines exceptional wired performance at a great affordable price. There are a number of options to choose from, they can be light bulbs that screw into sockets and contain a camera that draws its power from the same source, or it can be a floodlight and camera combo. Either way, you get the power and performance of both components. What makes the difference between the standard and the best are the features that are included in the best light bulbs camera units. 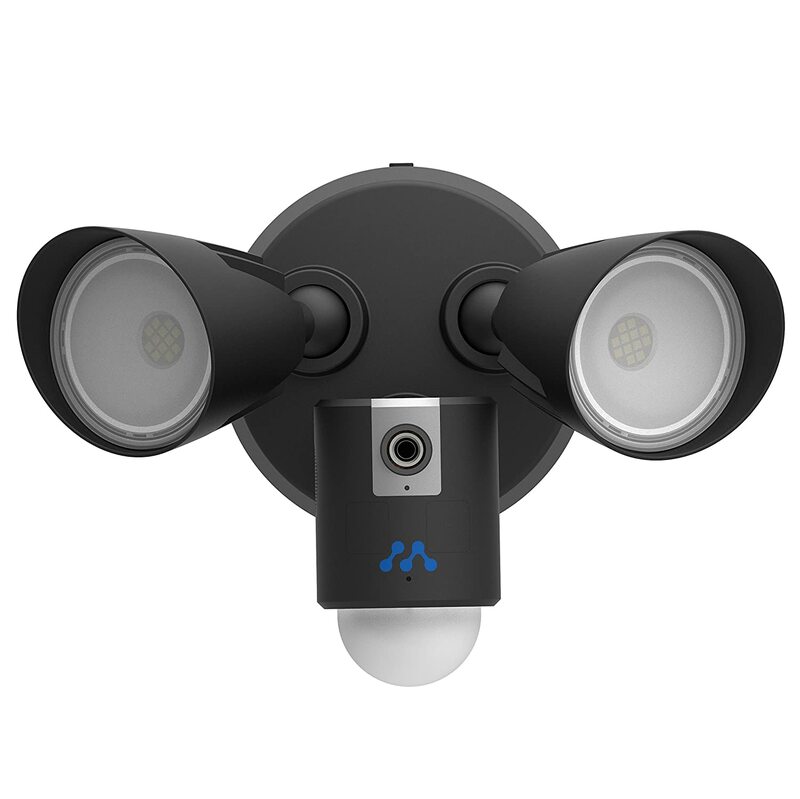 What I look for apart from floodlight durability is connectivity with mobile apps, the angle of view, motion detection with a smart algorithm, and if possible audio. Two-way audio is even better. The final component to look for is price, and with electronic components and construction being performed mainly in China, it’s a matter of knowing which brands are good and with are cheap. As such, research can only be based on lab performance combined with customer reviews, since only a consumer review will give you the ultimate real-time feedback that supports a sterile lab performance test.